We left Quebec and the Montreal area after yet again another night of rain. This makes only one night without rain so far. But at least it has been partly sunny most afternoons when we arrive at our destinations. And the temperatures are upper 40’s at night and upper 50’s daytime. I keep wondering why I packed a swimsuit… what was I thinking? Ok then, crossing through mostly farmland, once we peeled away from the outskirts of Montreal. The road is good and drivers seem to keep to the right, except to pass and pretty much stick to the speed limit. Imagine that. 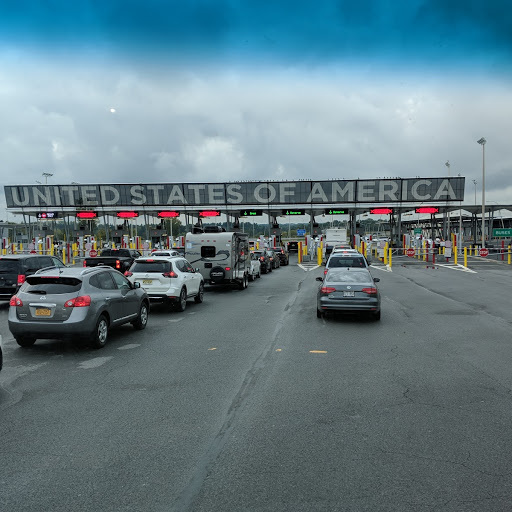 So it isn’t long before we reach the border crossing into New York. Just a few questions and concerns about fresh fruits, particularly citrus, and we are back in the US. 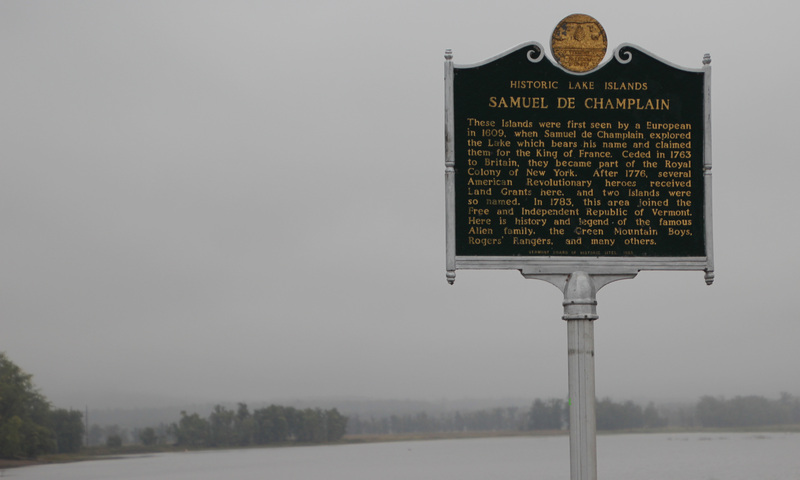 Not in New York long before we cross over Lake Champlain into Vermont. We stop at a welcome center for some local information and meander down the islands until we reach Grand Isle State Park. Nice spot for two nights, but dry camping (no electric or water hook-ups). 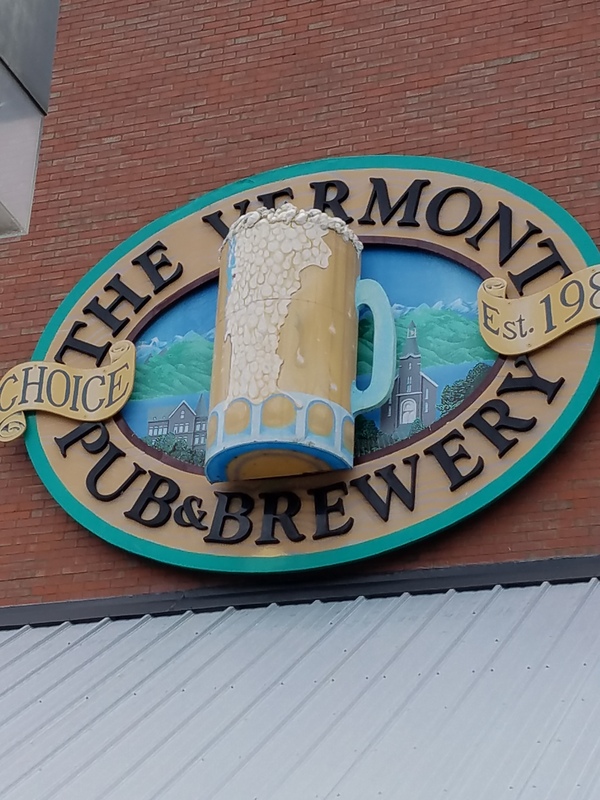 Since it is just after noon, we head out to explore nearby Burlington. A popular spot downtown is Church Street, converted to pedestrian only and lined with very trendy shops, outfitters, restaurants, coffee spots and bars. There are four colleges in town, so the crowd was young and apparently better off than we were in college, judging from the pricey shops. 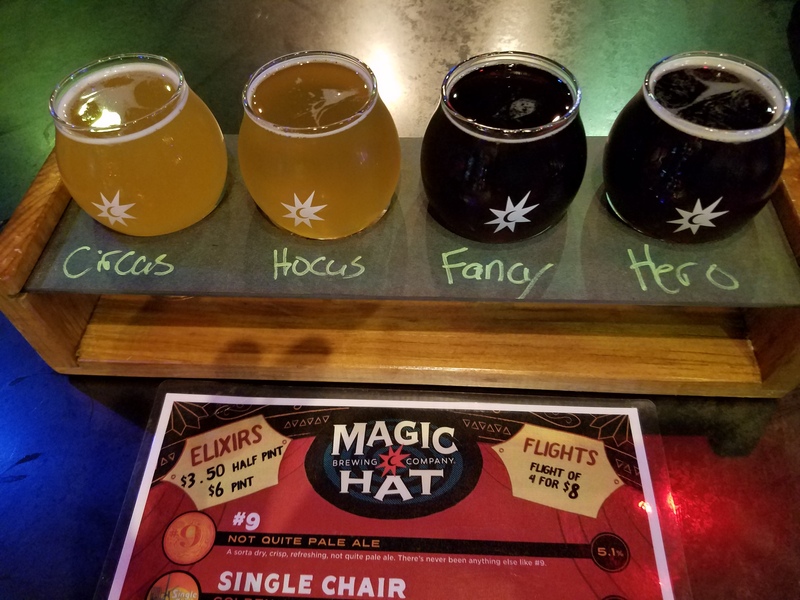 We found our spot at the Vermont Pub and Brewery and, twist my arm, we ordered a flight. Probably the Octoberfest was our fave and a raspberry wheat sour. 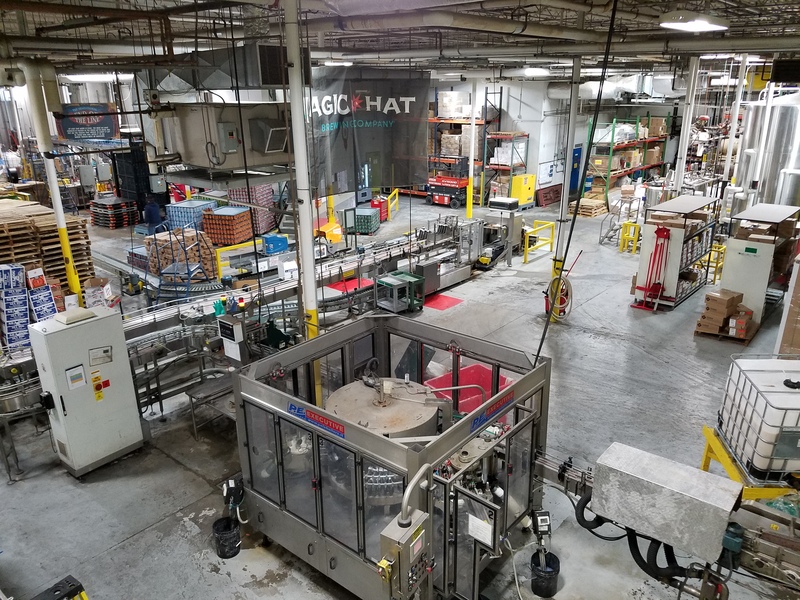 Further down the road was another spot on our list: Magic Hat Artifactory. 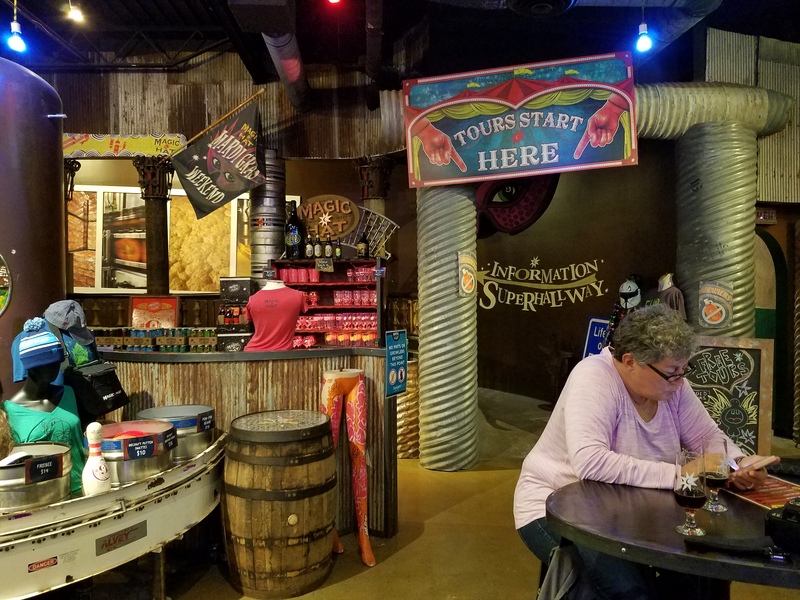 It was quite an eclectic brewery and tap room, with a sort of mardi gras meets carnival theme to it. Sampling the beer we found the Circus Boy Hefeweisen and Fancy Grade Maple Doppelbok and Heart of Darkness Stout to be the tastiest. 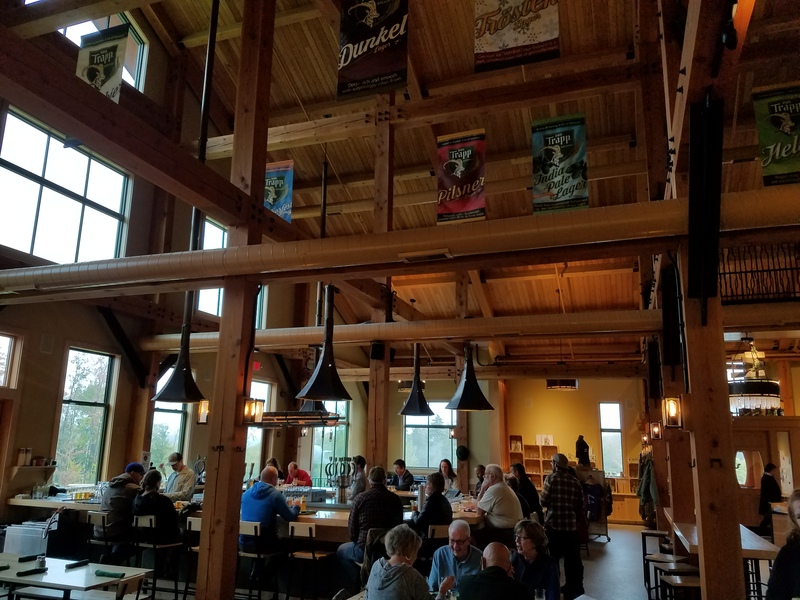 We met another couple also doing the craft beer circuit and learned they were from Maine, so we learned a few tips about the Bar Harbor and Portland area. Ordered a pizza and headed back to camp. Next morning’s task was to gas up the motorhome at a station around the corner. 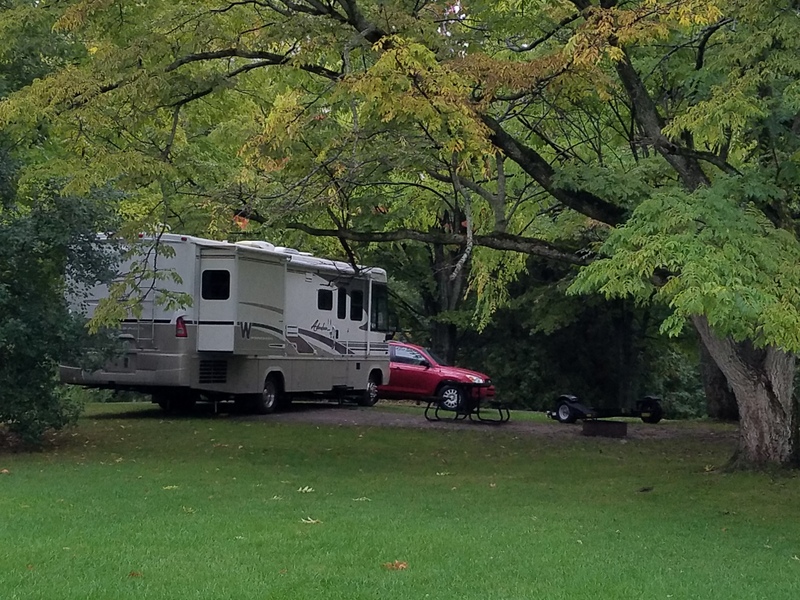 Everything in the motorhome is working just fine, but the generator won’t run if the gas in the tank is below ¼ – so we got maybe 5 minutes out of it last night before it quit. We usually try to have a nearly full tank before stopping for the night, but we didn’t find a suitable station the day before. 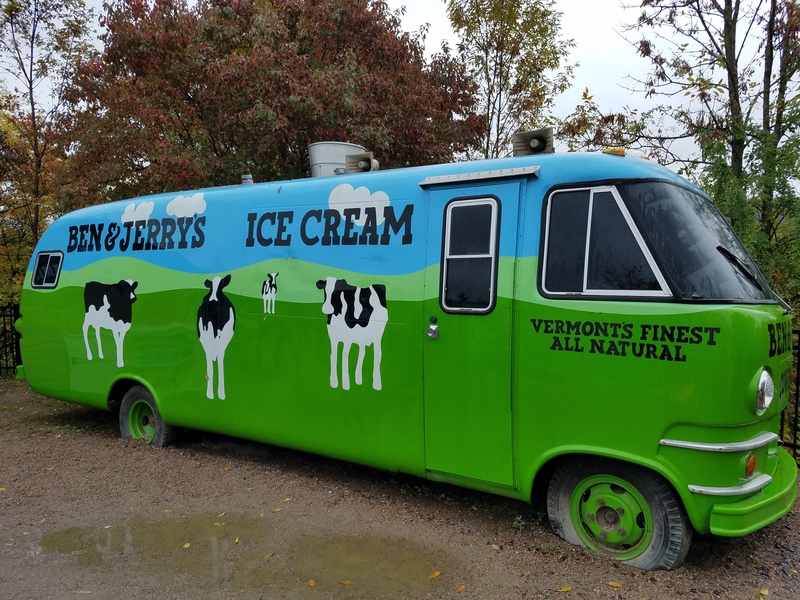 After filling the tank and backing into the campsite again, we were set to head to Waterbury Vermont, home of Ben & Jerry’s, Smuggler’s Notch Distillery and Cabot Cheese. Of course it had rained overnight, but this was our first day of rain all day. Good thing we were just doing the tourist route, not searching for wildlife (no sightings so far). The drive past Burlington and into Waterbury was nice, but still pretty green with only a few pops of color. 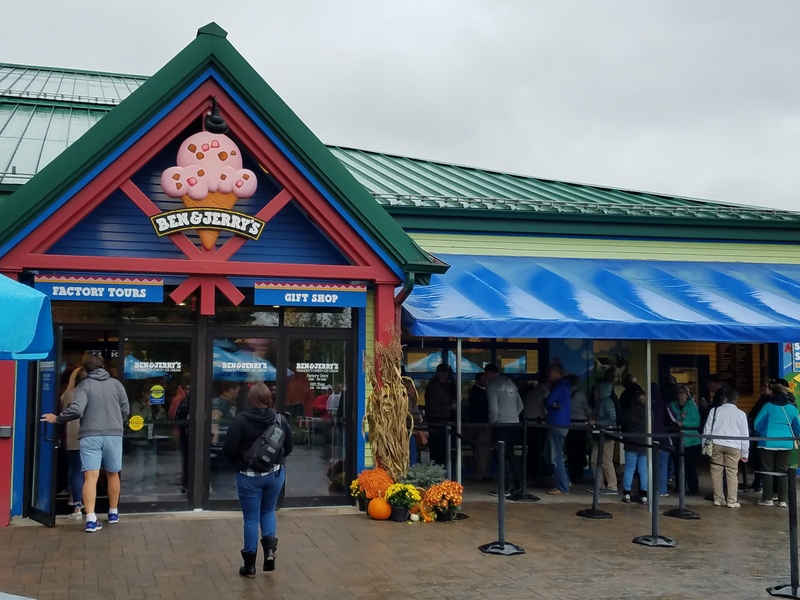 We found Ben & Jerry’s Ice Cream Factory, along with the several busloads of others. We didn’t take the tour, but did have a hot fudge sundae in the chilly rain. 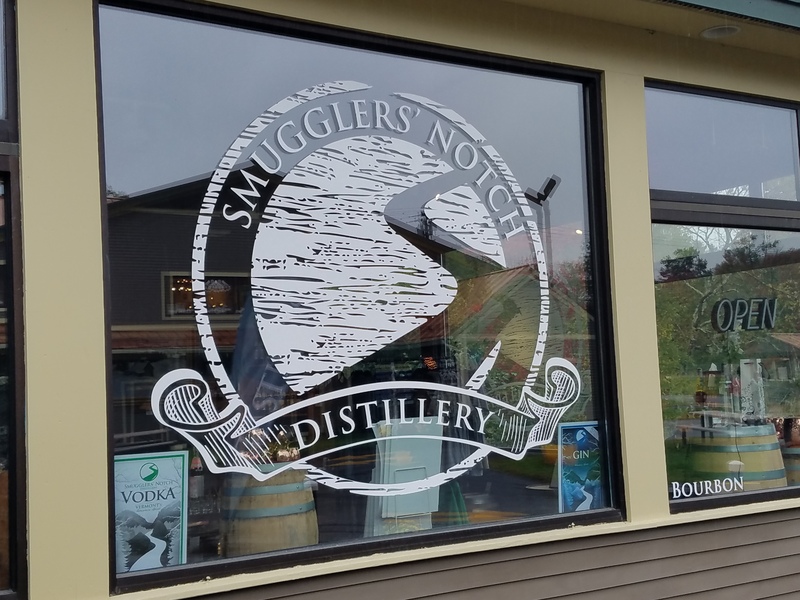 Next stop was a “made for the tour buses” spot with Cabot’s Cheese (lotta sampling) and SN Distillery (bourbon, vodka sampling). Not as good as the Kentucky Bourbon sampling, sorry. But we did stop at a cider mill that had amazing cider donuts … yum. 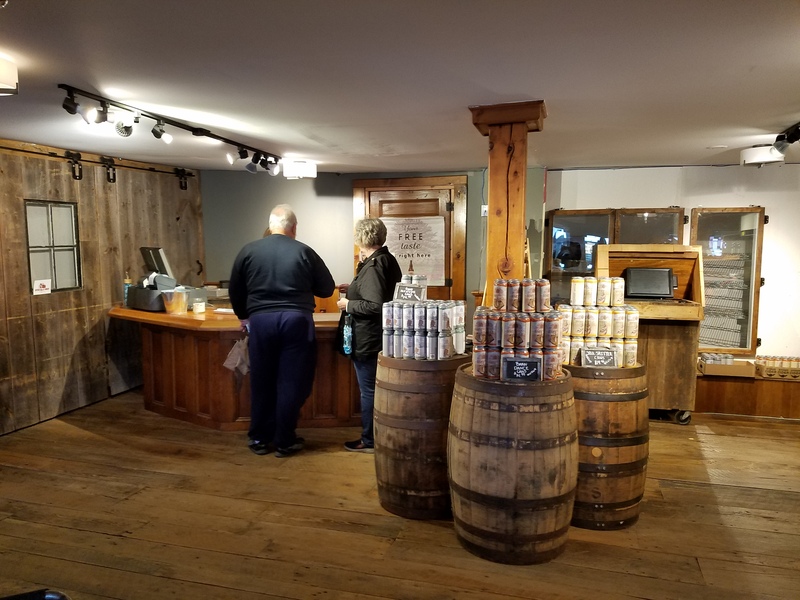 That was also the spot where a winery had samples and the cider mill had hard cider samplings. Yum. I should note that most of these samplings come with a minor sampling fee, which is ok, since we are happy to support the local farmers. 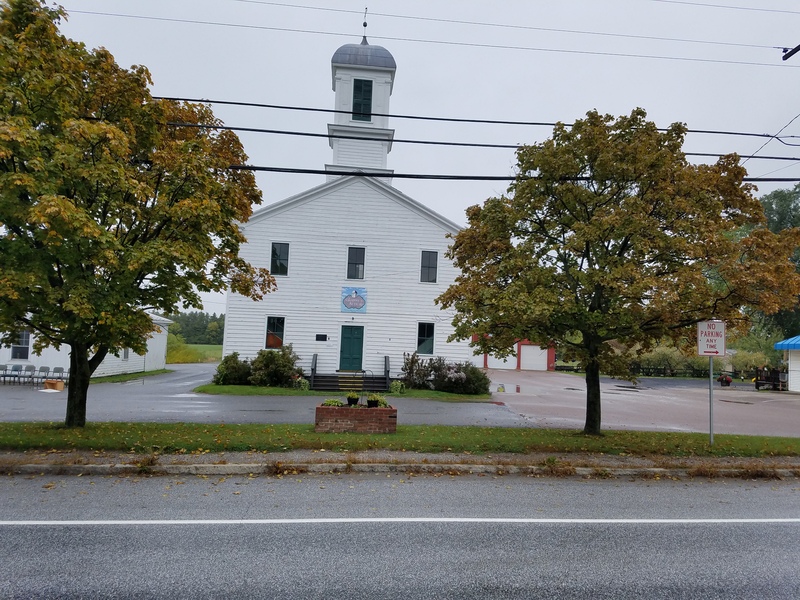 Further along was the town of Stowe, you know the one — Christmas cards and puzzles are filled with pictures of this town. With all the gold-leaf on the signs, I knew it was probably the Jackson Hole of the East. We hung a left and wound into the hills … is that music? 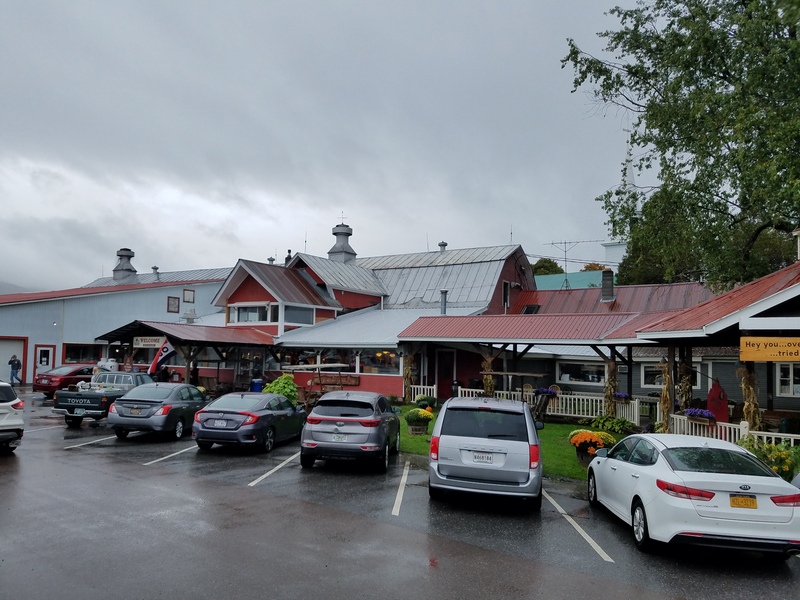 Not exactly, but our destination was the von Trapp Family Bierhall, yes the one made famous by the family from “Sound of Music” and run by the family (Maria’s grandson). 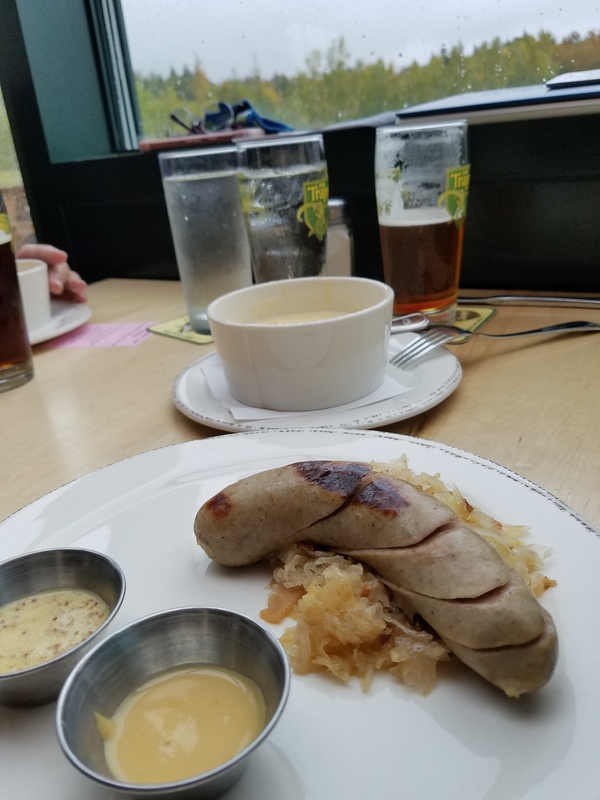 It was a perfect spot to warm up with some beer cheese soup, bratwurst and apple sauerkraut. 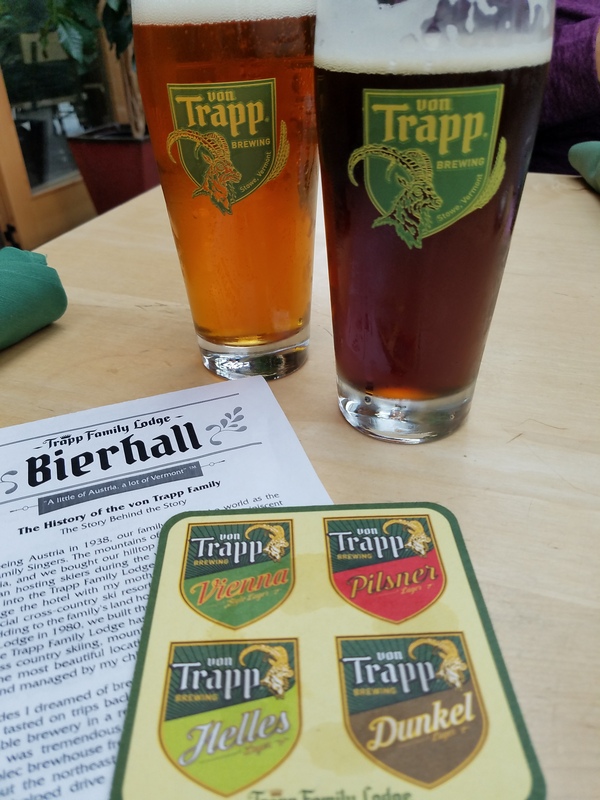 The beer was great with the meal – the Vienna Lager tasted crisp and fresh and the Dunkel was a smooth brown lager. A final stop in Waterbury was a visit to the Green Mountain Coffee Cafe. The darn “maps” directions dropped us at a very corporate style building with Keurig/Dr. Pepper on the doors and “Welcome” banners out front, so we walked in, went up a floor in the elevator and looked around. Ummm, don’t think so. And we sure didn’t look the part. 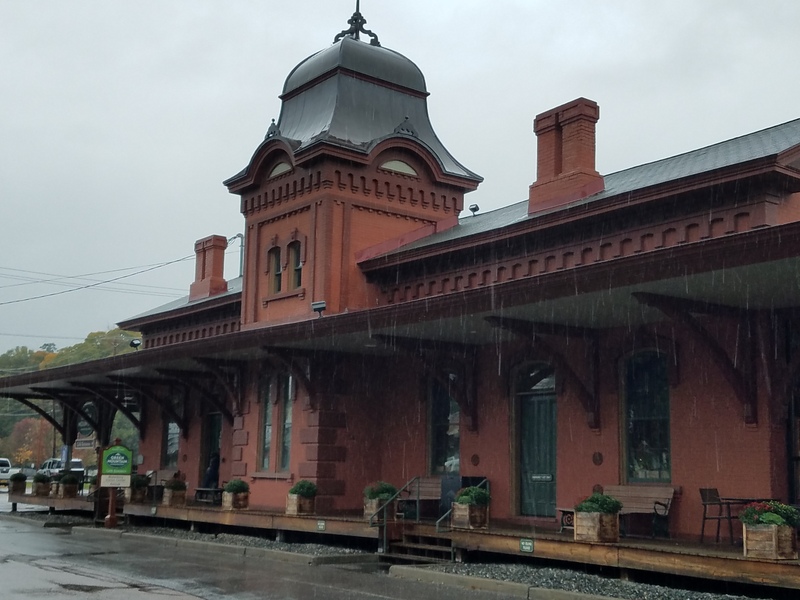 Back in the car we saw a cool railroad station across the parking lot and discovered THAT was the cafe. Guess we slipped into the headquarters by mistake. Good coffee stop. 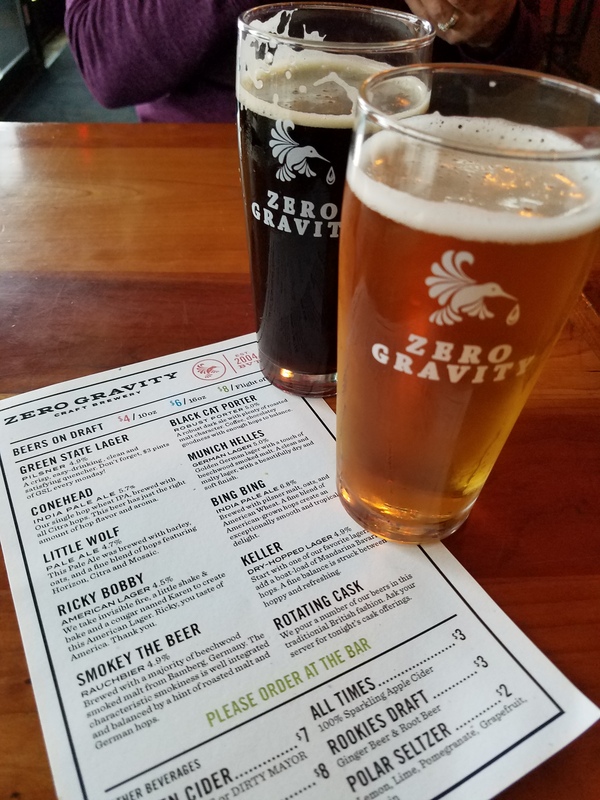 Now it was time to head back to camp, but we had one last stop at the Zero Gravity brewery, both for a beer and for wifi. 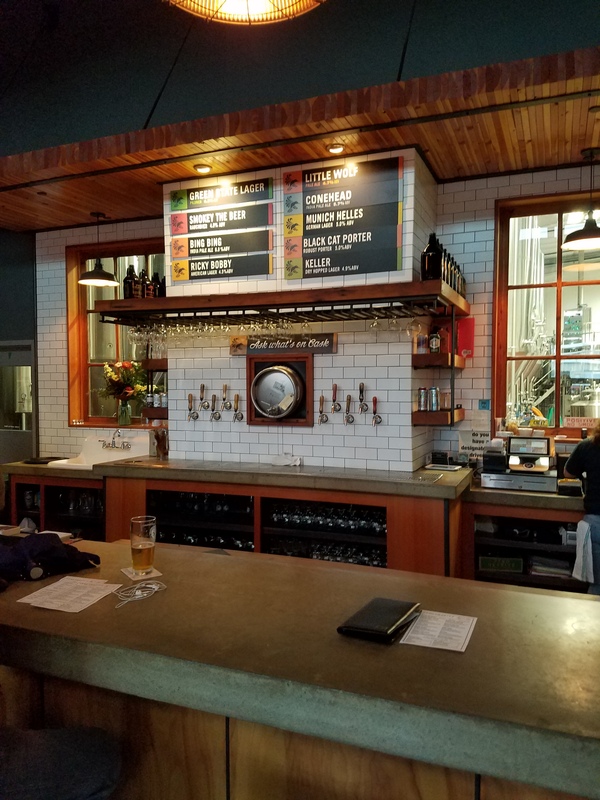 The beer was refreshing, but honestly it did not have the strong flavor profiles of some of our favorites. 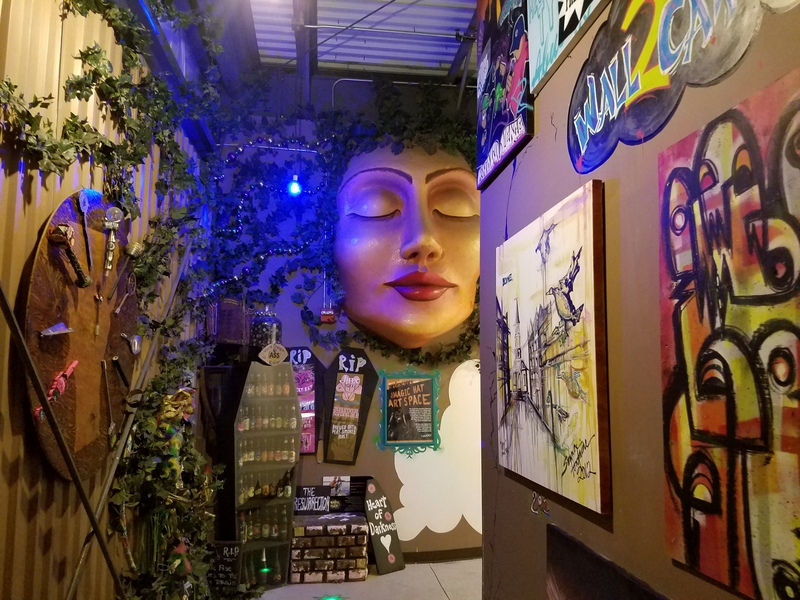 It was just OK, but the tap room was a really nice spot. Back in camp, run the generator, fix a dinner salad and head to bed. Tomorrow is another big day. Thanks for following along. More New England adventures to come.